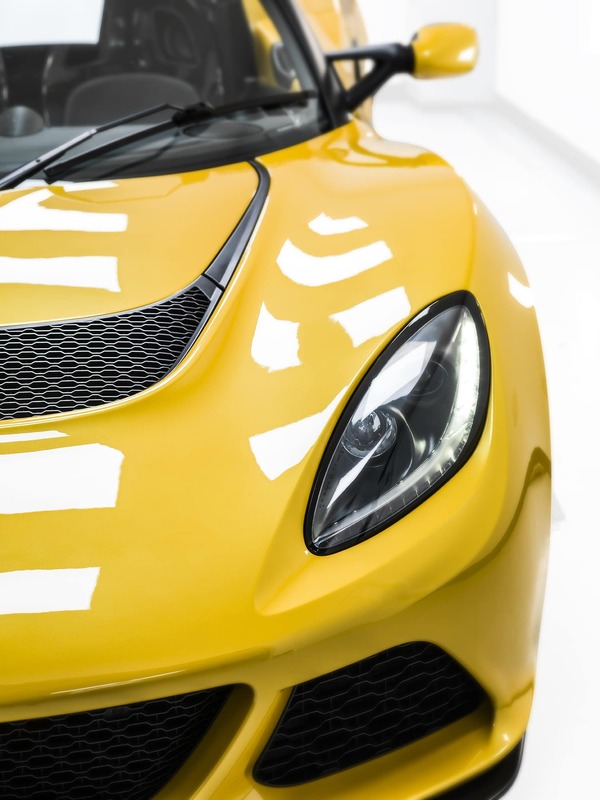 My usage of the car changed from being a daily driver to realising that it’s not actually that enjoyable to use every day, so I bought a Mercedes C-Class to daily drive and the Exige could become a special weekend and track car. With this change in mindset on usage, it was okay to compromise the cars in ways to make it better in other ways. Having said that, the first thing I did was a dramatic difference with absolutely no down side. 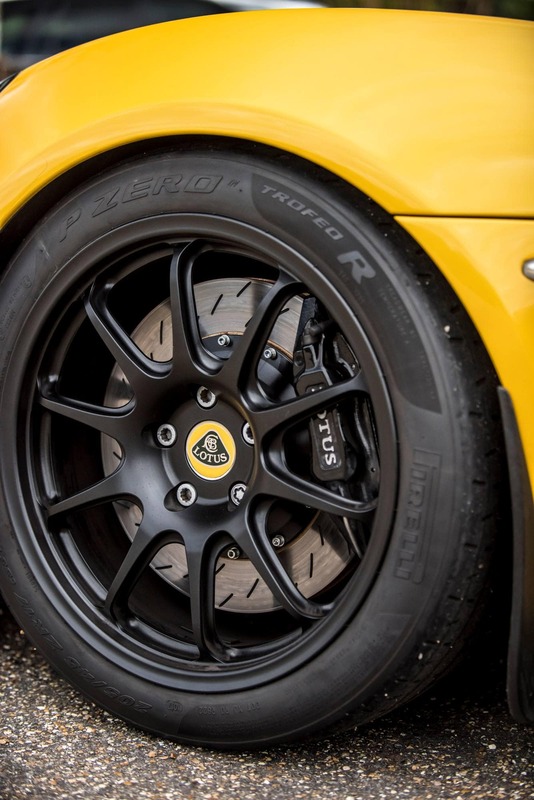 The standard wheels which came with the Exige are cast and therefore really quite heavy. 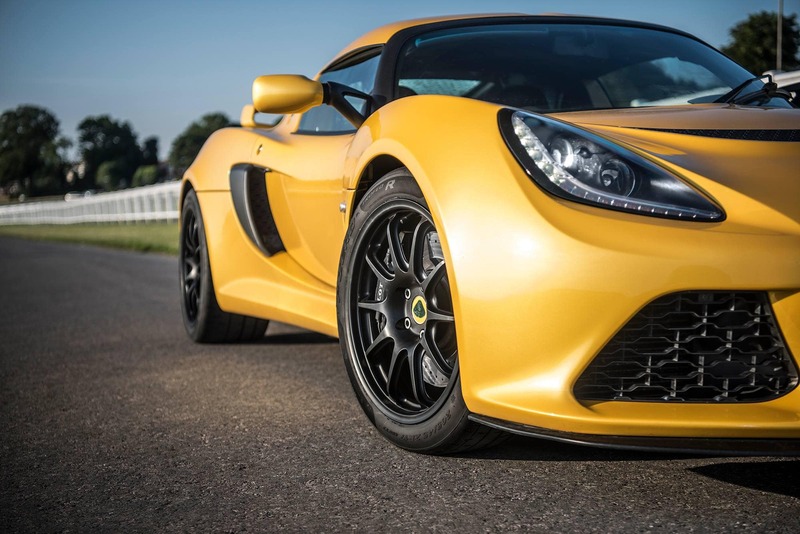 I splashed out on a set of Lotus Forged wheels which are significantly lighter. I coupled this with a set of Pirelli Trofeo R tyres which made a dramatic difference to how the car drives. 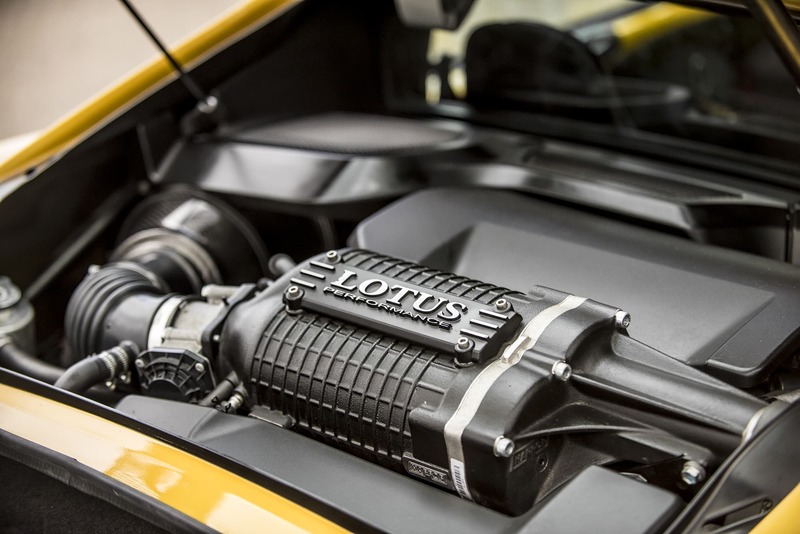 Saving of unsprung weight is particularly noticeable in the Lotus as there’s no power steering, so one of the added bonuses which I wasn’t expecting was that the steering is a lot lighter and the car is easier to place on the road. You also feel the bumps in the road less. The tyres compared to standard are night and day, on the road it’s impossible to reach the limits of grip now without being a complete moron and on track they’re just incredible for doing fast laps and I’ve managed 3 trackdays plus a couple of thousand road miles which I think is good for such a track focused tyre. 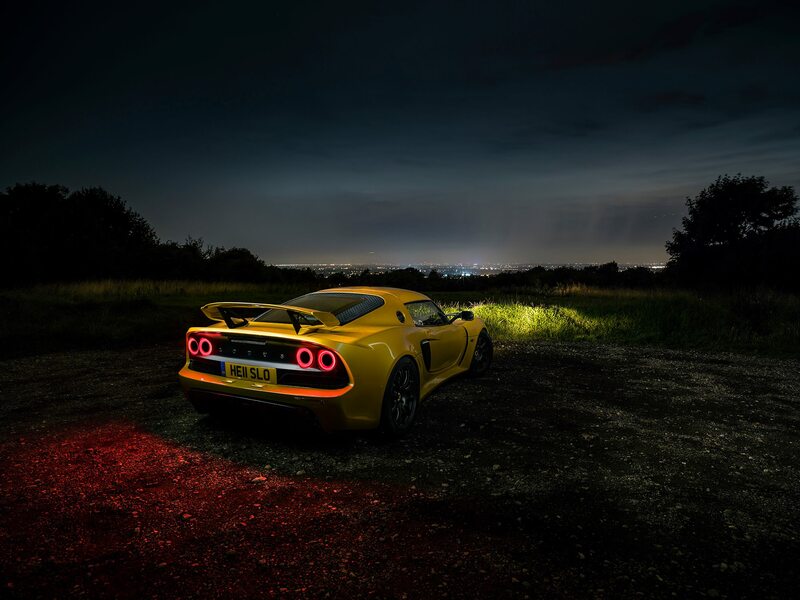 I’ve got to say, there’s nothing wrong at all with the amount of power an Exige comes with from factory. 350hp is a good amount of power in such a light car and I loved the car as it was. Unfortunately curiosity got the better of me and as I was close to Komo-tec in Germany I thought I’d pop in for a chat and find out a little more about their power packages. I went there thinking I might do one of their 370 or 390hp packages. Daniel was kind enough to let me have a drive of their 460hp demo car and I was suitably impressed, the car was mental. Did I need this in my life though? During the test drive what surprised me was how well the car still got the power down on the road, the power delivery felt smoother than the factory setup and instead of peaking low in the revs, it pulled harder and harder towards the rev limit. I loved it, but it was a huge amount of money and I think a 390hp would probably be the sensible thing to do. 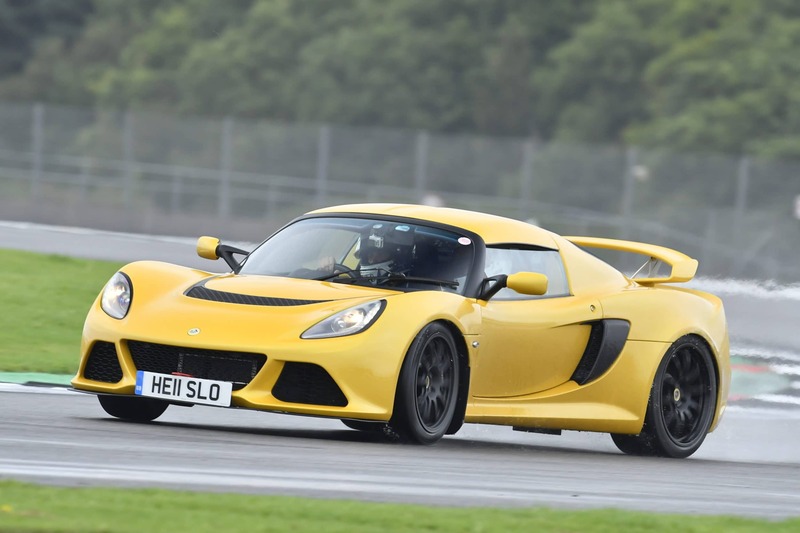 Then I got back into my Exige and I can honestly say it felt broken by comparison. It’s not just the power, the torque was just missing! So just like that I had decided I’d do things properly and booked it in a couple of months later to get the 460hp kit installed! So what’s the kit consist of? The real benefit of the 460 kit is that it has charge cooling, which keeps the intake temperatures consistent even when ambient temperatures are higher and when doing long sessions on track. This is then combined with a lovely carbon air intake, sports manifold and cat, pulley change and a remap. As I got the kit fitted at Komo-tec in Germany, there is the added bonus that you go straight out onto Autobahn and can explore the car in a way you couldn’t in the UK. Which was very lucky as big big numbers like 150mph appear in very short amounts of time now. Unfortunately the experience wasn’t quite as amazing as it could have been as my clutch let go about 3 hours later when I got to Frieburg. 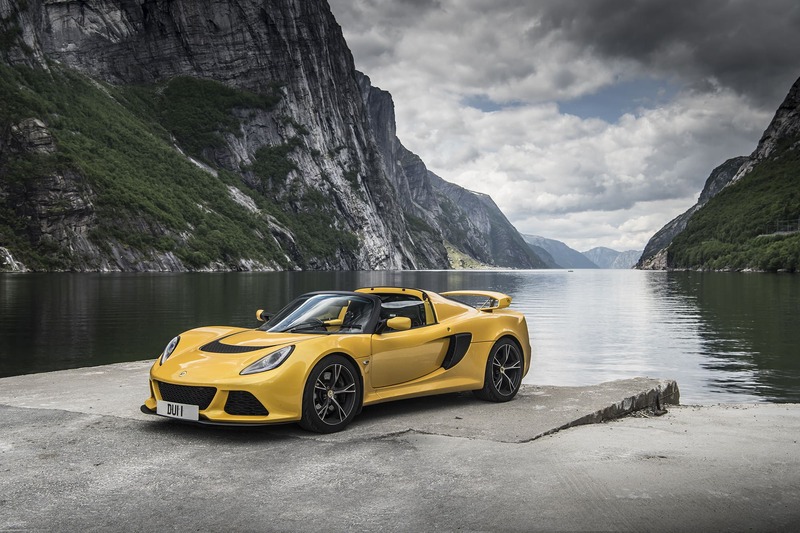 The next day in a recovery truck I discovered that Autobahns in a recovery truck take significantly longer than when you’re blasting down them in the Exige. Hats off to Komo-tec though for sorting our recovery so quickly and working tirelessly on the car to get a new uprated clutch into the car in record time. Any sensible person who adds 50% more power to their car will tell you that it’s rather important to upgrade the brakes too, so while the power package was fitted, Komo-tec fitted a set of their upgraded front brakes. I must confess that on the road I’ve barely noticed a difference, but I try to keep my distance to other cars on the road so it’s rare I need to exercise braking power there. On track though these brakes are truly staggering, I’ve yet to follow a car on track who can brake later and they’re totally solid with no change of brake feel no matter how many laps you do. So yes, very worthwhile upgrade! 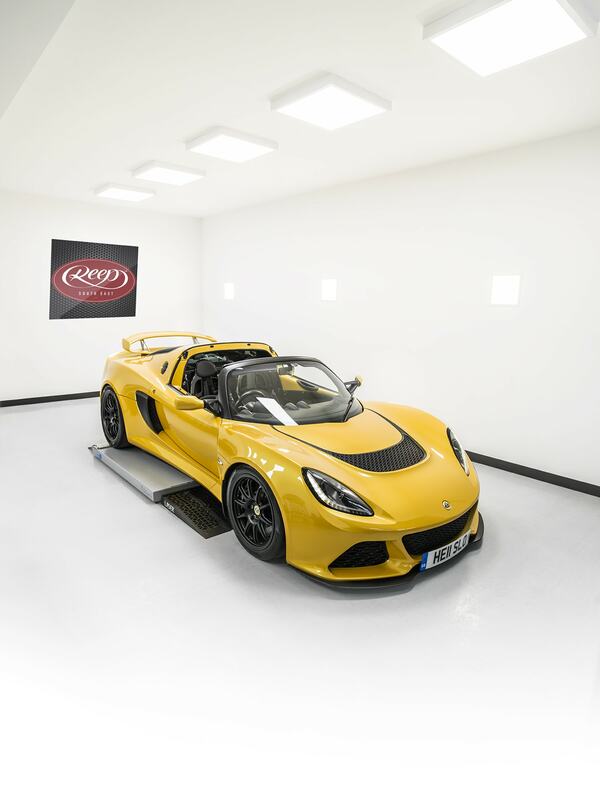 The standard suspension on the Exige is non adjustable in any way, rides a bit too high and is way too softly sprung and damped. I therefore decided it was a good idea if adding 110hp to get the handling as sorted as possible so it was a bit more predictable. I therefore bought a set of Nitron 1 way adjustable suspension with a road/track bias. I’m still trying to get the setup as I’d like with these, I have a feeling I’ll end up having to change to a different kit to get the setup as I’d like it. The Nitron suspension is certainly more composed than standard and corner speeds are a lot better, but on the road they’re quite crashy. You’ll also notice that I got a new numberplate, no one else seemed to see DUI1 as ‘dull’ so I fancied a change. After a bit of searching I found this “HE11 SLO” plate which I thought was a bit of fun when the car is far from slow! Edit: It’s with regret that I had to remove these due to repeated failure. I have instead ordered Gregs Rave Parts “Halo” lights which have a much better reputation for quality than Transforged Racing. The car came with a paint protection film, but it stopped half way up the front clam which really annoyed me as I’m such a perfectionist. It had also seen better days and as PPF technology has improved so much in the last few years I decided to get the old film removed and replaced with a new film which would protect the amazing Liquid Yellow paint for years to come. I spoke to some friends who had had their cars done and made the decision that I’d use Reep South East. Michael was great to deal with and it was clear how passionate him and his team were about making cars look absolutely perfect. The film used was from Llumar and when I got the car back I was incredibly impressed, the joins were pretty much invisible and the car was shining more than it ever had before. The huge benefit of a new PPF is that it’s self healing, which now I’m on track more and more is great for removing tar after the day is finished!